As a professional advisor, you are in a unique position to help your clients realize their philanthropic goals and significantly impact the future of your community. Professional advisors play a critical role in creating successful gift plans. We’re here to help you provide a full range of services to your clients. The University of British Columbia is engaged in important work in almost any area your clients feel strongly about, including: higher education; medical and scientific research; music, arts and culture; sustainability and the environment; health care; animal welfare, and many others. Your clients can choose from a variety of giving options to best suit their philanthropic and financial goals. UBC Gift & Estate Planning staff members are experts on charitable giving who can work with you to tailor giving plans to meet your clients’ particular needs, reduce their taxes, increase their current income, increase their heirs’ inheritance, and create a personal or family legacy. Our professional staff are here to help and can provide you with detailed information, custom will wording, gift illustrations and tax-effective gifting options. Please contact any one of us. The legal name of UBC is The University of British Columbia. UBC’s Charitable business number is 10816 1779 RR0001. 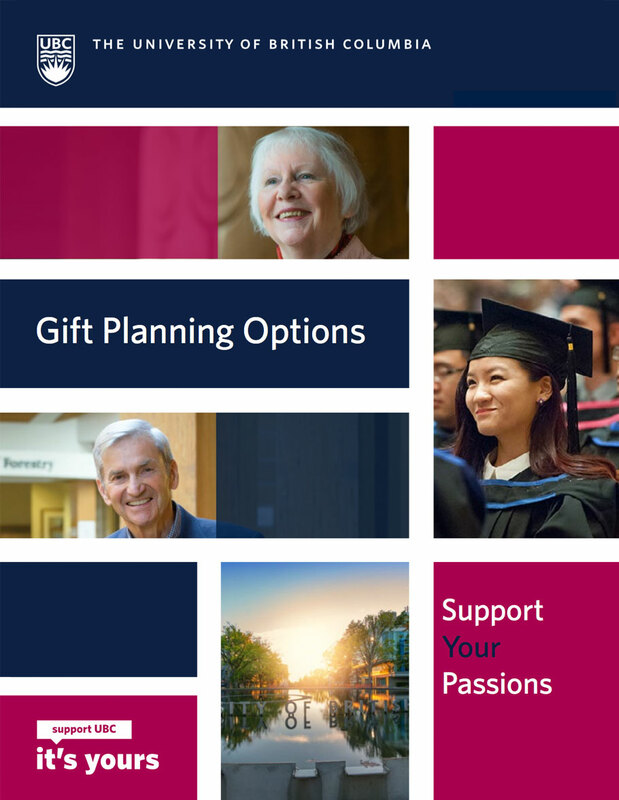 The University of British Columbia is pleased to recognize the many advisors, and firms, who have assisted their clients with planning a gift to UBC or with the planning and realization of testamentary gifts received.